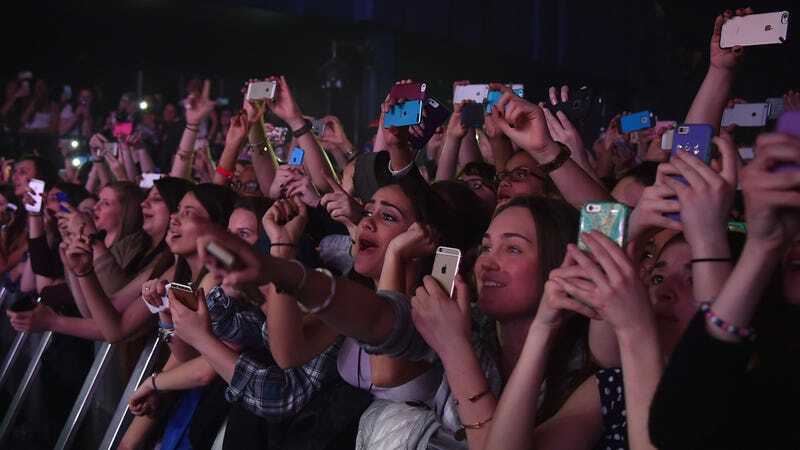 Entertainers have found a way to regulate irritating cell phone usage at shows and it involves making fans carry their phones in a huge pouch. The point of snapping pictures and videos at concerts, we all know, is to brag capture the moment and the memory of seeing your favorite artist in real life, but there are those among us who abuse this power. And so, artists like Adele have been compelled to scold fans for aggressive recording. Alicia Keys is the latest to use Yondr—a cell phone case that automatically locks when you enter the performance space—during a recent concert at the Highline Ballroom in New York. For Keys, the main purpose was to prevent fans from recording new music she premiered at the show. The pouch might not look like the latest techno-bling out of Silicon Valley, but it’s become the go-to tool for a slew of artists — including Dave Chappelle, the Lumineers and Louis C.K. — trying to reclaim their live performances without going all Adele on their fans. Graham Dugoni, 29, launched Yondr in 2014 and landed famous early-adopter clients, including Hannibal Buress and ZHU. Dugoni says the pouch serves two purposes. The artist can try out new material without worrying about it being leaked. Fans will also realize that they actually enjoy a show more without constantly filming, texting and Tweeting. Artists have experimented with other methods before. For example, as a music writer, I’ve attended media-only album listening sessions where security puts everyone’s phones into a Zip-Loc bag to be retrieved after the event. Separation anxiety is real. Realistically, this pouch feels impractical for almost any major show and makes more sense for exclusive venues or comedy gigs. However annoying they may be, taking cell phones away entirely is just ancient thinking.